We said we would let you know of other great Scottish photographers (subtle inclusion of ourselves intended). Barbara Jones is one that I every time I see her pictures I bookmark them as favourites and go back to again and again for inspiration. Her Flikr sets are outstanding covering most of the Scottish Highlands plus a fantastic set on the Isle of Skye. She is a freelance photographer and got into self publishing with a terrific book of her finest images of Skye , Northern Light. Landscapes of the Isle of Skye published using the Blurb service. Anyway careful not to infringe copyright here is one of Mhairi’s. 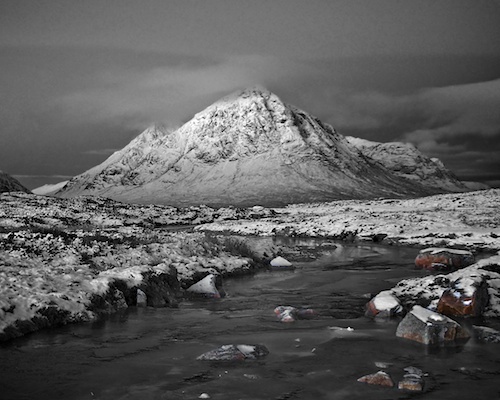 This entry was posted in Photographers, Photography, Publishing and tagged Blurb, Buachaille Etive Mòr, Flickr, Isle of Skye, Photographer, Scotland, Scottish Highlands, Skye. Bookmark the permalink.